"Technicians are racehorses, for the most part. ... They understand that when they come to work every day, if they're not turning a wrench they're not making any money." The flat rate system for paying service technicians was controversial when it began nearly 100 years ago. Dealership owners, managers and technicians still argue about whether it is fair and the best way to compensate employees who maintain and repair vehicles. Under flat rate, a dealership service department assigns standard "book" times to repair and maintenance jobs. Technicians earn a set amount for each job, based on their hourly pay, regardless of how long it takes, as opposed to getting paid for the time they actually spend to complete the job. A recent survey of 35,000 dealership technicians by automotive consulting firm Carlisle and Co. found that the flat rate system is a prime reason for job dissatisfaction among techs and a key motivator for them to consider leaving dealership shops for other fields. Among the beefs technicians have with flat rate is that their pay depends on the volume and type of work that comes into the shop, and whether they can finish jobs in less than the book times. Yet the survey concluded that service departments in nearly three out of four franchised new-vehicle dealerships continue to use flat rate. Its supporters assert there is a good reason the system remains so popular: They say it incentivizes technicians to work harder and flag more billable hours, increasing their paychecks while boosting revenue for the shop. "Technicians are racehorses, for the most part," says Ken Hines, fixed operations director at Reynolds Ford of Oklahoma City and Reynolds Ford of Norman in Oklahoma, which use flat rate. "They want that carrot out in front of them, and they're built to produce billable labor. "In our case, and at most dealerships, they're exceptionally good at it," Hines told Fixed Ops Journal. "They understand that when they come to work every day, if they're not turning a wrench they're not making any money." Hines says he has experimented with other pay systems, such as straight salary or salary plus commission. But for the past several years, he notes, his technicians have been on a flat rate plan with a performance bonus, and that has yielded the highest productivity. The typical dealership technician earns more than $61,000 a year, the National Automobile Dealers Association reports. Under flat rate, an experienced tech can cram 11, 12 or more billable hours into an eight-hour work day — on a good day. But on a slow day, or one in which a job that normally takes two hours turns into a four-hour nightmare, the technician might flag only five or six hours. His or her paycheck suffers as a result. A tech might earn $1,500 one week but only $500 the next. Adam Robinson is CEO of Hireology, which provides hiring software to more than 3,000 dealerships as well as other businesses. He maintains that the fluctuating pay of the flat rate system makes it harder for dealers to keep technicians and attract new people to the field — especially millennials, who make up 60 percent of the U.S. work force. Hireology has surveyed thousands of entry-level and midcareer employees, mainly millennials, over the past five years. Robinson says the surveys consistently identify the top three things job seekers want: a well-defined path for advancement, a stable paycheck from week to week, and a work-life balance that gives them ample time away from the job. Making the most money they can ranks No. 9, Robinson notes. Two-thirds say they would choose a guaranteed lower salary over the risks of variable pay. Dealers offer prospective technicians "a really murky career path, really variable pay and really bad hours," Robinson says. "It's a product the labor market doesn't want." Lee Harkins, a fixed operations consultant, disagrees. He argues that the flat rate system isn't the problem, but rather how it's managed. "I hear all these people saying that the system has got to change," says Harkins, CEO of M5 Management Services. "As a pay plan, [flat rate] has served this industry for years, and it is a good system, but the application of how we use it is messing everybody up." Ganley Automotive Group offers its service technicians the choice of a flat rate pay plan or a hybrid plan that combines flat rate and hourly pay. This example suggests that the flat rate plan pays better in weeks when a tech books more than 40 labor hours, but the hybrid plan offers more consistent pay from week to week. Overall, the hybrid plan pays slightly better. One problem Harkins says he sees at dealership shops is that young technicians start working at an hourly wage and then are abruptly switched to flat rate, often before they have gained the experience and confidence they need to book enough billable hours. 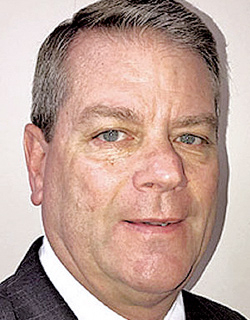 He advocates monitoring technicians' hourly production and giving them appropriate time and mentoring, so they can steadily increase their production to the point at which they can be shifted from hourly to flat rate pay.To combat complaints from technicians that their pay drops during slow periods, Harkins says, dealership managers must take responsibility for generating enough service business to keep employees busy. At the same time, he adds, techs need to accept that there still will be down time, offset by busier times. "Let's say next September is our traditional slow period," he says. "Develop a plan to build traffic. We know when we're going to be slow, so if we haven't planned for it then we're slow between our ears." Robinson agrees that it's unfair for technicians to have to take a hit in their paychecks during down times. "Management's job is to make sure that the business has sufficient work flow in the service drive to support the staff they have," he says. Harkins adds that managers need to be aware of when a technician has a slow day and clocks less than eight hours, and find ways to make up for it. "Help him out today," he says. "Give him a couple of extra gravy jobs to make up for that time he didn't do yesterday. That's the fairest thing to do." Instead of trying to manage these variables under a flat rate system, why not just pay technicians an hourly wage based on their skills and experience? Hines says he tried that about 20 years ago and discarded it. "The quality of your work probably increases a little bit, because [technicians] can take as long as they want to repair a car, but the production level falls off significantly," he says. "They're going to draw the same amount of money" no matter how long a job takes, he adds. 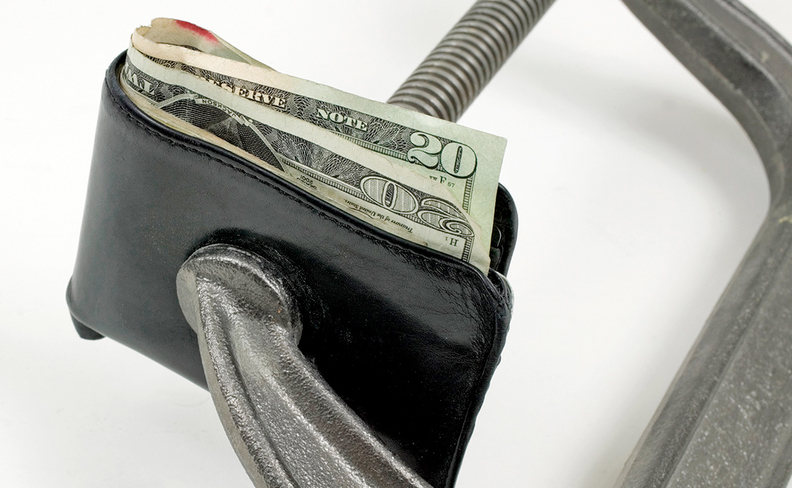 Some dealers offer a hybrid pay plan — a combination of straight salary and flat rate. A service manager at a Midwestern dealership group, who asked not to be identified because he is not authorized to speak publicly on the company's behalf, says his technicians are guaranteed base pay for 32 hours a week. But if they book more than 40 hours, he says, they automatically switch to a flat rate plan that pays a higher hourly rate and escalates as they book more hours. Flat rate advocates frequently point to the earnings potential it gives technicians, some of whom make more than $100,000 a year under the system. Robinson counters that few techs ever hit that target, and that a growing number of them would rather have guaranteed pay. He maintains that pay options other than flat rate, such as salary with a performance bonus, can work as well or better. He advocates giving technicians a choice of pay plans. Robinson estimates that about 15 percent of pay plans on the automotive sales side consist of base pay plus an individual or team-based bonus for hitting a production target. "You can do the same thing in the service drive," he says. Housholder: Give techs a choice. But Harkins says that while some technicians might prefer a straight salary, others might leave for a shop that gives them an opportunity to make more under flat rate. Bill Housholder is fixed operations director of Ganley Automotive Group, which owns 36 dealerships in the Cleveland area. He developed a hybrid pay plan about a dozen years ago that combines hourly pay with flat rate. He launched the plan, he says, because the entry-level technicians he was hiring and those who came from other repair shops, didn't understand the flat-rate system and were spooked by the risks it posed to their take-home pay. Under Ganley's plan, technicians are paid by the clock hour and also by the flat-rate hour on a scale that increases with their hourly production. That provides a base salary, and the flat-rate component offers an incentive to book more hours. Housholder says he tailors the pay plan to individual technicians based on their current pay level, how many clock hours they will work, and how many flat-rate hours they expect to produce. Service managers at Ganley dealerships decide whether to offer the plan, he adds. "With the hybrid pay plan, they're not going to make any more or any less over a full-year period, but they won't have the highs [of flat rate] and they won't have the lows," he says. Leveling weekly pay, he says, can provide relief to an employee who lives on a tight budget. Housholder estimates that 55 to 60 of the nearly 400 technicians Ganley service departments employ are on the hybrid plan. Most were new hires, and about a half-dozen are experienced techs who switched from flat rate to avoid big swings in their weekly pay, he says. Though Housholder says his hybrid plan has proven successful, he concedes it can be complicated and time-consuming to structure for individual technicians. He used to manipulate the numbers by hand, but now uses a spreadsheet to generate appropriate pay levels and comparison charts. "I don't know that this is the answer," Housholder says. "We've known for 30 years that flat rate is not a great pay plan, but nobody's come up with anything so far that can replace flat rate and not put the dealership at risk and yet be fair for the technician." Whatever pay system is in place, Harkins says, dealership managers shouldn't let the plan dictate what types of jobs technicians can do or prevent flexibility in compensation. For example, he proposes that if a technician is paid a flat rate of $22 for skilled maintenance work but complains that he can't finish warranty jobs in the time allotted by the manufacturer, the tech should be paid $26 for warranty work when extra pay is justified. Conversely, Harkins says: "Tell them, 'I'm going to pay you $18 to do low-price maintenance work.' Pay them according to the type of work they do. At the end of the day, the average comes out to the same amount of money they were making, but they have more opportunities in the number of cars to work on and can make more money. "We have clients all over the country that use multiple [pay] rates," he says. "They no longer have to say to techs, 'You can't do this because you're paid too much.' "